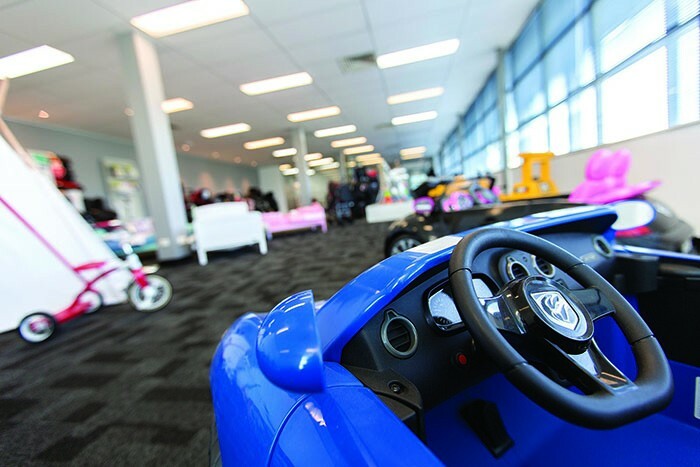 Dorel Juvenile Australia appointed ODC Design for a complete new fit out of the Ground Floor and Level 1 within their existing accommodation in Sunshine West which included a client face showroom, offices, 60 No. workstations and staff tea rooms. Dorel Juvenile Australia’s objective was for the design to create a collaborative and flexible working environment, encouraging staff to work together and improve the communication between areas. A thorough initial consultation process was undertaken to gain a full visual understanding of how Dorel Juvenile Australia’s project requirements would translate into a concept design. The project was carried out over two stages which involved the standalone building requiring substantial work to accommodate the new office space, showroom and goods holding bay. The project also adhered to a tight budget and timeframe, of which ODC Design was able to fast track the project successfully and meet all of our client’s expectations.